Most of my short stories can take months to write. 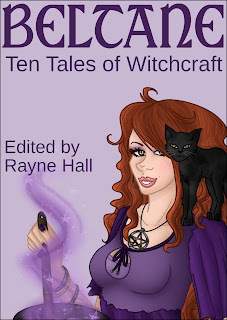 However when Rayne Hall, the editor of Beltane: Ten tales of Witchcraft told me she needed a final story as soon as possible, I knew I had to produce something of quality in a very short space of time. 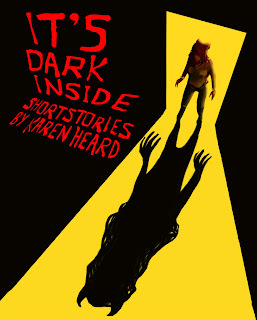 From contributing to Scared: Ten Tales of Horror, and reading the other work in Rayne’s collections, I knew that she set a high bar for the quality of work she accepts. I knew it had to be something special. I didn’t have any suitable ideas in my head, and so thought I was going to have to decline the offer. However, as I was walking home along the Southbank, looking at the patterns in the river-side sand, an image came into my head of a strange ethereal girl floating across the sand. She had long white hair and instantly I knew her name would be Alba: a girl with a secret identity. I saw her stumble across a body lying in the sand, but that only Alba, with her secret knowledge, could sense that some unnatural force had killed the girl. I knew instantly that I had to write that story. Sometimes, it helps with the creative process to have a loose brief. Not only did the theme of witchcraft inspire me, but as I knew the story would be part of a collection, it encouraged me to come up with an idea slightly different to the other stories. I wanted to describe Alba in the language similar to that used for magical realism to evoke the mystical quality she possessed. However, as soon as I saw Alba on that beach - the only person able to see what had happened - I knew she would have to be the one to solve the mystery herself, and so wanted the story to be, at heart, a detective story. I hoped this would be an unusual twist on the witchcraft theme. I wrote the outline of the story in half an hour, as I walked along the Thames that first day, stopping every few minutes to scribble down another scene whilst the lunchtime workers rushed around me. Rewriting then took me quite another couple of weeks, with the occasional nudge from Rayne to keep me motivated. I wanted to make the work evocative by capturing the smells and feelings that Alba experiences. However I also wanted to show Alba from an outside point of view, as, with her secret past, she is as much of a puzzle as the murder. In the end I introduced a detective: Sergeant Taylor, to also investigate the murders from an official point of view. The two narratives hopefully complement each other and towards the end, when the two stories combine, they help the reader make sense of what each person finds out. Part of the joy of writing for a collection is when the finished version comes out and you can read the other stories and enjoy being a part of something. 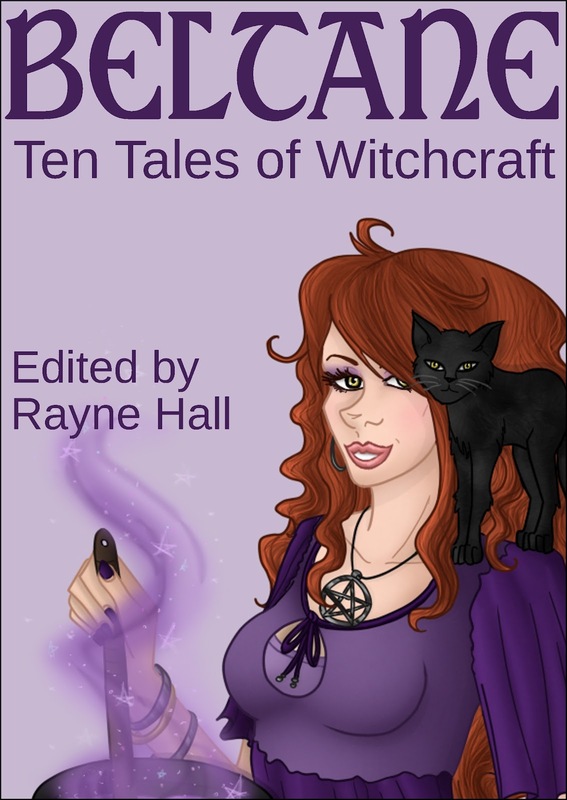 When I read Beltane: Ten Tales of Witchcraft I felt proud to be included among so many other varied and thought provoking tales. I really enjoyed reading them all, and I hope you will give them a chance too. Bought the book. I know I'll enjoy it. I often ride my exercise bicycle to think through things. There is something about physical activity that makes things come a little easier. I'm sure I'll enjoy this collection as much as I have the others. I'm a fan of short stories and have purchase nearly all the books Rayne has compiled. Hope you have a million more downloads today. Hi Karen. I truly enjoyed your story in BELTANE, very unique. When I need to get the creative juices flowing, I put my headphones on and go for a good long walk, preferably in the woods. Good luck with It's Dark Inside. Congrats, Karen on your new release. I love ghost/paranormal stories. I love hearing how other authors come up with their stories. Some of mine come from nightmares, others just seem to blow in on the breeze. Creativity is an amazing, freeing process, isn't it? Your story in the anthology and your collection of shorts both sound good. I'll check them out! Thanks for all your lovely, encouraging messages. Thanks, Karen, for sharing your thought processes on coming up with the idea for the story and writing it. It's the perfect month for these stories! Good luck.